Are you working on short stories or a book? Would you benefit from feedback and suggestions, edits to prepare for submitting to journals or publishers? 30.00 an hour editing and evaluation fees. Would you like to learn how to write fiction? Individual coaching with courses for individuals or groups are available at a variety of rates. 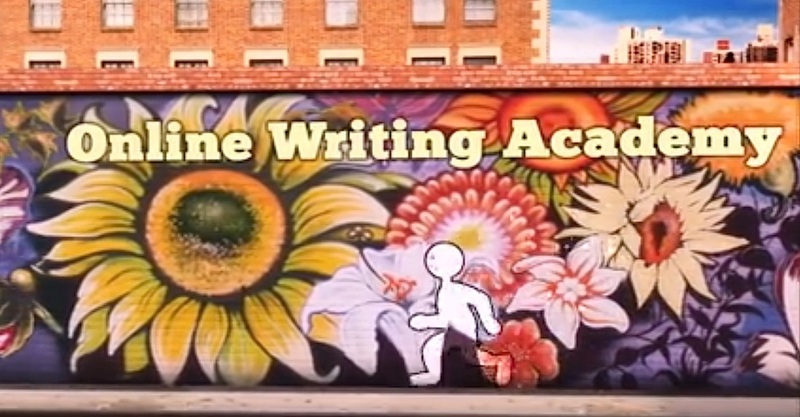 See the Online Writing Academy website Here. Would you like to learn how to write fiction? Individual coaching with courses for individuals or groups are available at a variety of rates. Classes in Interstitial Fiction Genres of New Wave Fabulism, Magical Realism, Slipstream, Surrealism, and Weird. Sign up for the specific email list mini-newsletter if you want to stay in touch about them. Sign up for the regular newsletter for the whole school. I'm nearly always teaching every quarter at UCLA X Writing Program and highly recommend studying with me there at such a great school. Intermediate Short Story Writing is the current class. One of this Winter's classes is Experimental Fiction Writing. I really enjoy the opportunity to work with the great people there year after year. "After reading this week’s lecture and assignment, I suddenly realized that my intended audience isn’t quite like me. I never really examined the difference between what I enjoy as a reader versus what I write and who I write for." "I think the characters I like to read are flawed and in my limited experience of writing so far I think I’ve been guilty of writing characters that just have bad things happen to them, rather than characters whose flaws and mistakes drive the plot. I think as a reader I often find stories more satisfying when the plot and character are linked, so it is somehow just that the character’s wound up in this position and, in fighting their way out, they will grow and change." "This is an interesting assignment and I have thought about it since receiving it Wednesday night. I have never thought of planning or thinking about the desired response from the audience for a story or a play or a CNF piece before I write it. I open a new document and begin to write. Perhaps if I thought about it more before starting to write, they would turn out better. Similar, in theory, to thinking before speaking." "I suppose I have always had these goals in working on short stories, but I have never articulated them. Interesting way to approach the writing. I like it. I can see how other stories I’ve written could benefit from approaching it to see what I want the reader to feel." " I would equate the first read of this to listening to music. There is a rythm, a dark lyricism, to this short story. It is both simple and complex. And when I first read it, my experience was more about the sound of the words in my head. I didn't quite fully grasp the narrative because I didn't want to slow down and ruin the effect. I have heard people relate poems to the first time you listen to a song. Sometimes you just connect with it, but you don't necessarily hear all the words until you revisit it again and again. The second read I was more focused on the narrative. The absensce of verbs as in "void, void, void," and "And then from the distance: near, fat great cry. Fish-cry, bat's cry, dung beetles cry...New, never-known yellow-gree cry..." along with repetition create a sense of energy and momentum for the reader. The repetition of "and" in the second paragraph "And it attacks you...and it presses up a cry in you...and the cry tears up your face" has a similar effect for me. It intensifies the pacing. I'm not particularly strong with poetry comprehension or writing poetic descriptive language. So far my writing tends to be more straightforward. However, I would love to learn to incorporate stronger and more beautiful language into what I write. I have really enjoyed reading the diverse range of stories in this class. It has really opened to me up to the many different things a short story can be. The more I read, the more I get a sense of what I am drawn to as a reader well as what I have difficulty accessing or relating to. I also have a better understanding of what I want to experiment with and improve on. Sometimes I struggle to engage with stories that are all about poetic language, but I really liked this story because it combines skillful prose with energy, narrative, and a strong sense of emotion and atmosphere. Between the lecture and links for week 7 I felt like I was in foreign territory. I am still rather new to more consciously exploring the literary world. I have a general understanding of major genres and their worlds, particularly as a creative producer in the film world, and just from personal reading. I was not at all aware of the abundance of subgenres. Slipstream, Weird Fiction, Strange Tale, New Wave Fabulism and others are new to me. I have also read a wider range of genres in our anthology than I typically do and it has been eye opening. Reading new genres, even ones that don't reflect my own tastes, has been a worthwhile experience. I plan to continue doing so after this class as it opens your mind to principles you can experiment with." "Your class has been great. It has helped renew my joy in writing. I was getting burned out taking two classes a quarter and working full time. The two stories that I wrote for your class helped pull me out of that funk." And always available, Experimental Fiction class online through Writers College which you can take for 6 or 12 weeks. 11 years of teaching writing at University level, 6 years coaching and editing literary work. Contact Tantra. Include Study Writing in the subject line.